Houstonians clinging to those New Year’s resolutions to get in shape have backup with a bevy of out-of-state gyms such as Barry’s Boot Camp coming to town. Joining that list of newcomers is Crew Fitness — an indoor rowing group fitness program developed in Mobile, Alabama — now debuting in The Heights. Crew drifts into 715 W. 22nd St., anchoring Bungalows on 22nd Street, a new, boutique retail development between Shepherd and Durham, just steps from Kraftsmen Baking and the just-unveiled (and wildly packed) H-E-B. To get locals into the rowing mood, owner/operators Dan and Marcia Strange will host a February 23 open house with free classes on February 23, in advance of the February 25 grand opening. Class options include Launch, an introductory class that covers the basics of rowing and functional movement. There’s also the Crew Fitness, a signature, low impact offering with individualized intensity that incorporates challenging pieces on the rower, alternating with body-sculpting movements off of the rower. Attendees can also choose the Regatta, a competitive, endurance-based class that offers rowers the chance to race each other in varied sprint and endurance rowing-based workouts. Each 45-minute class classes are orchestrated to be supportive and motivational, set to high-energy music. 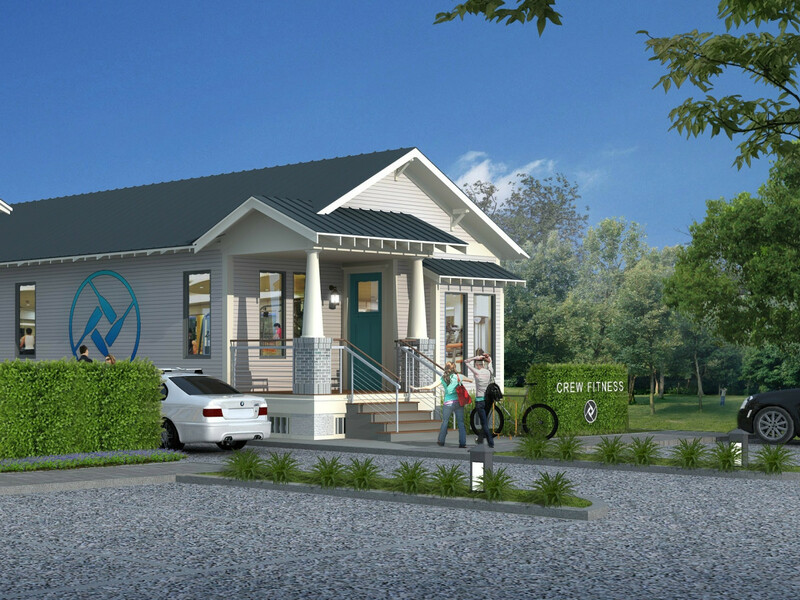 Crew Fitness will be housed in a 1930s California bungalow style, 2,000-square-foot, one-story space with large front porch will welcome clients home into a charming retreat evocative of a classic boathouse. The open floorplan incorporates reception and workout areas in addition to a shopping component featuring clothing and gear.